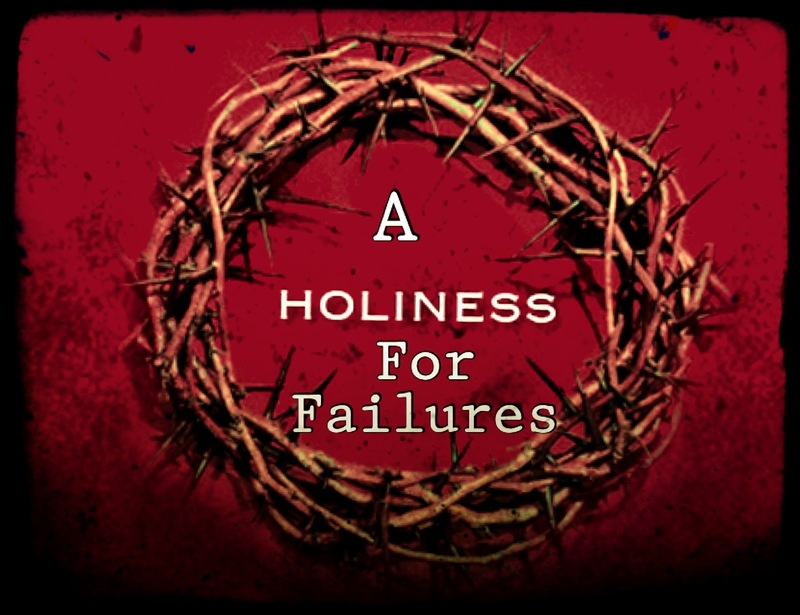 The Salvation Army…A Holiness for Failures. Okay, I admit my title is a little inflammatory…hang with me, I’ll get to the point. Here’s what I mean: The Salvation Army ministers to many who come from hard-living lifestyles. Admittedly many souls who come to us for help are victims of these lifestyles. How we minister to them begins with the old catch phrase/slogan “Soup, soap, salvation”. We long to fill their stomachs, clean them up and get their lives back on track before we can minister to their hearts. Perhaps it doesn’t have to be specifically in that chronological order either, our ministry opportunities could come simultaneously. But the core of our ministry stems upon a demographic of those who are marginalized, poor and/or destitute…and the failures – there I said it. We live in a numbers oriented ministry driven world where, from an outside point of view only having 20 or 40 in a service on Sunday seems to indicate a dying church when compared to mega churches and large community churches that boast well over a 1,000 members. I’m not knocking these churches, nor am I jealous and want to become them…but there are quite a few who join the ranks of the army who look at these churches and then look at our corps attendance on Sundays and feel as if we’ve failed and/or are dying. It’s a failure of a different sort, a failure of perspective. This failure of perspective comes when we buy into the lie that numbers in the pews are the only source or indicator of a ministry’s effectiveness. Successful ministry begins and ends at personal relationships. Do we spend quality time one on one with those with whom we minister with and to? This is the true evidence of genuine discipleship. Not that it can’t happen in other ministries where you can possibly get lost in the crowd, but can you hide in a corps that boasts 40 members? Are we caring for the complete person? Is there follow-up and attention to the real sources of crucial personal issues in their lives? The Salvation Army isn’t like other churches because it isn’t just a church, it’s a movement and a triage location to the lost, hurting, marginalized and the failures. Fellow spiritual freedom fighters we aren’t strictly in the business of merely facilitating “goods” to those in need. We have a broader, greater mission to fulfill. It may indeed begin with the services of goods in order to meet the physical needs, but it mustn’t end there! That is only the beginning. We must be willing able to help usher those we serve in our community into the very throne room of heaven in order for them to have the opportunity to meet and know Christ Jesus. Providing “goods” and services gets us in the door but if we are a mission of holiness for failures (myself included) then we must do more than a box of food, a place to sleep and a warm meal…we must display and convey Jesus! 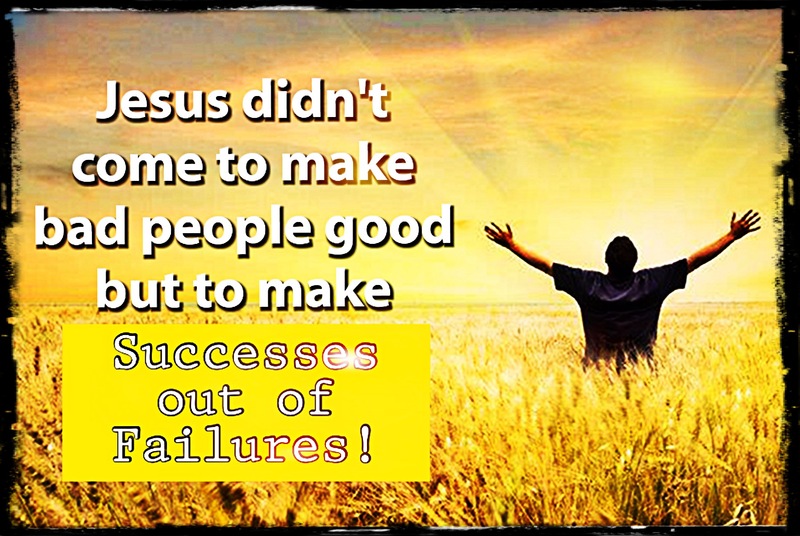 Jesus came for the Failures and the Lost! Jesus came for the whosoever, and those He picked to serve in His mission were not the best of the best. They were tough men and women. Many were from hard living lifestyles and many did not have the best of educations. If Jesus had operated within modern day success oriented means He would have gone to the synagogues and recruited the most educated. He would have filled the temples to the brim and He would have had an active prosperous ministry that would have afforded Himself many properties and riches…yet this wasn’t His mission. He came to the rejects, the prostitutes, the outcasts, the uneducated, the lame and the sick, the dead and all we failures. Not failures by occupational standards or in friendships (not all anyway) but by a salvation standard. “For all have sinned (failed) and fallen short of the glory of God.” (Romans 3:23) He operated within a holiness for failures system. This isn’t to mean that Holiness is or was a failure, but rather He went to the sinner, He lived among to poor, He cared for the outcasts and brought the power of redemption to those who would hear and seek. Even selecting His disciples He showed evidence that He would use anyone who was willing to follow and willing to receive His holiness and success at the cost of even death. How are we bringing people from point ‘a’ (a life of sin and shame) to point ‘b’ (a life of salvation, redemption and holiness)? What are we concerned with more? Numerical success or the success of holistic ministry and spiritual life altering opportunities? Are we looking over the fences at other ministries that do not embody what our movement is all about? We are many parts of the body of Christ and with that being said other ministries out there operate for different reasons. Jesus brought hope to a world of failures, how are we emulating Him in our Corps and in our various ministries in our communities? Perhaps you’re hung up on the word “failure” today because of its negative connotations. Jesus came you and for me because we needed Him! Still today many are lost in their failures, blinded by habitual sins and shame…be a light to them not by your power but by His Holy Presence. Help to usher His holiness to those who need Him most! Perhaps we must stop looking over the fences, stop comparing ourselves and get back to work. The upside – when we allow Christ to work within us as well as those we minister to He will turn us from Failures into His Holy Success stories. -Just another thought to Ponder. Previous Post Previous post:Are Your Robes Clean Or Is It Laundry Day?